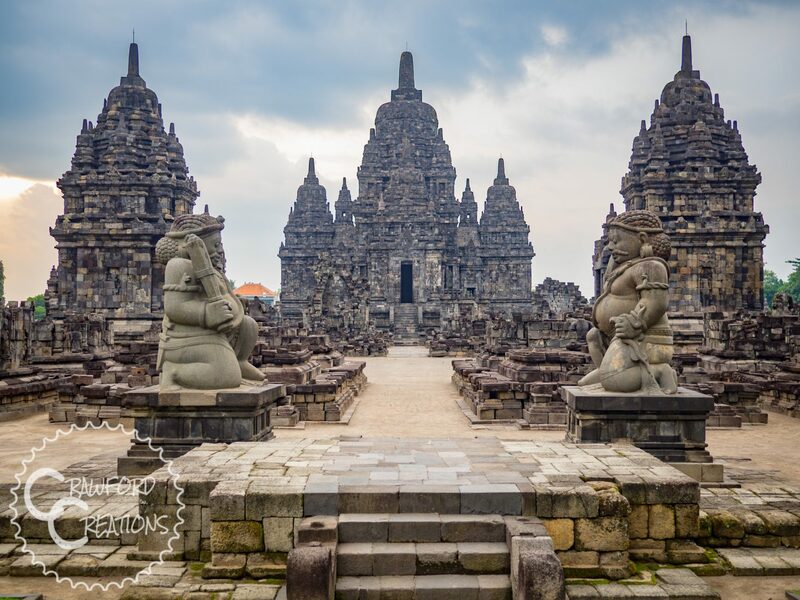 Prambanan Temple, located 10km outside of Yogyakarta city, is a mixture of ruins and reconstructed Hindu temples originally built in the 9th century. 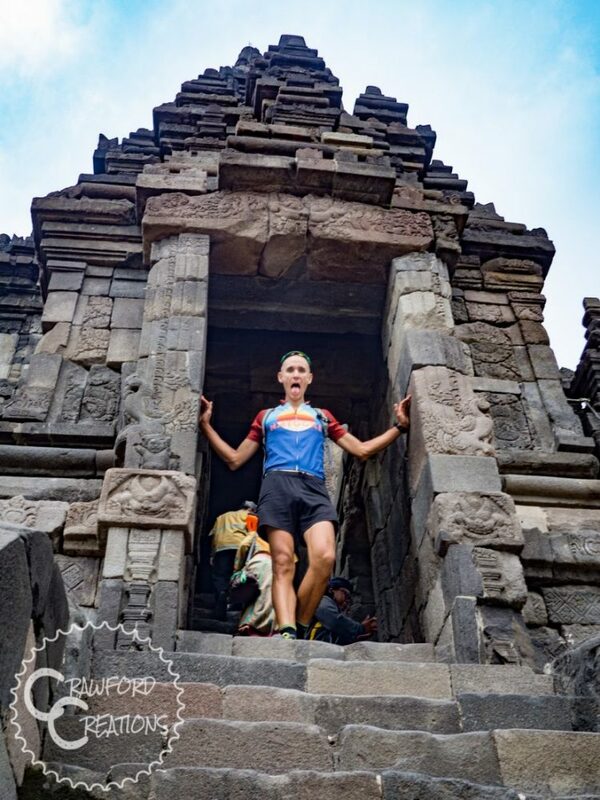 The temples were built to honor the 3 great Hindu deities: Brahma, Vishnu, and Shiva as well as 3 temples dedicated to the animals that served them. Which animals they are I have no idea (my research has failed me) so if anyone knows please enlighten me. 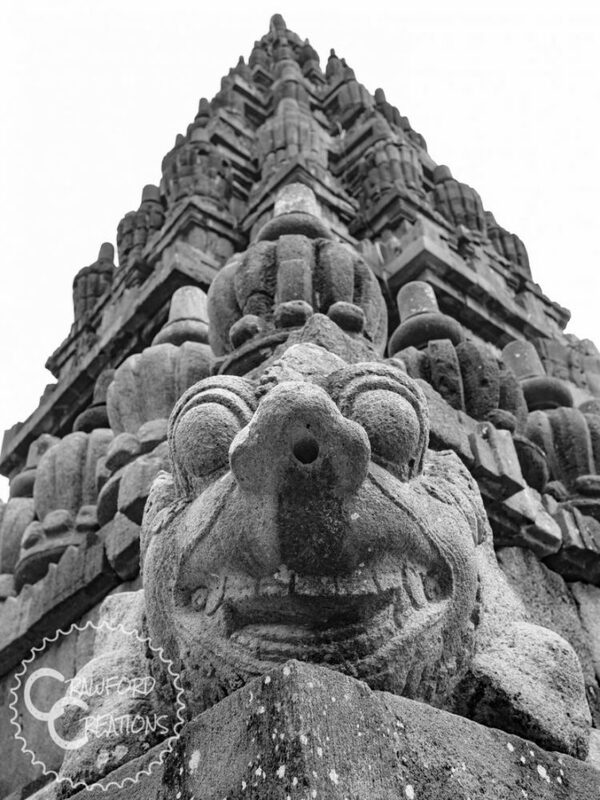 The temple complex consists of Prambanan, Lumbung, and Sewu Temples housing 240 buildings in total (a lot of the temples still lay in ruins yet to be reconstructed). 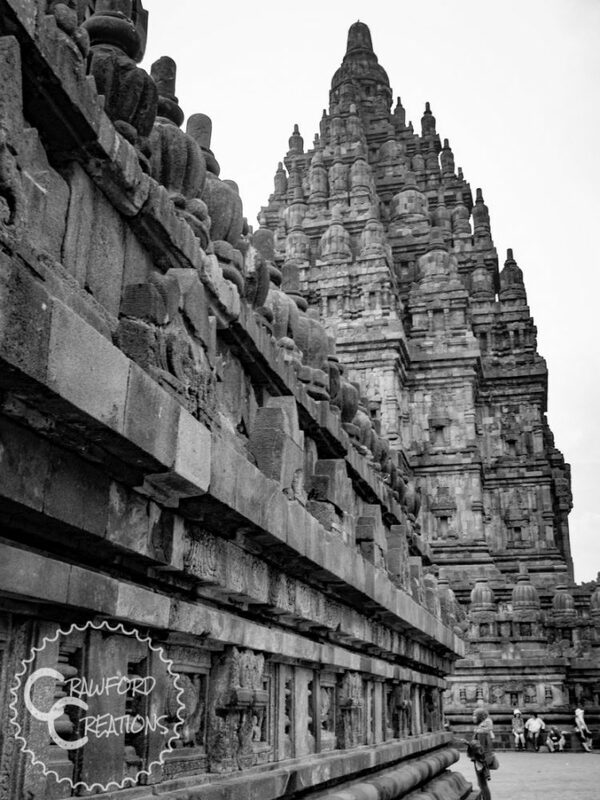 By the 16th century a large earthquake caused most of the temples to collapse and fall into disrepair and the temples were all but forgotten. 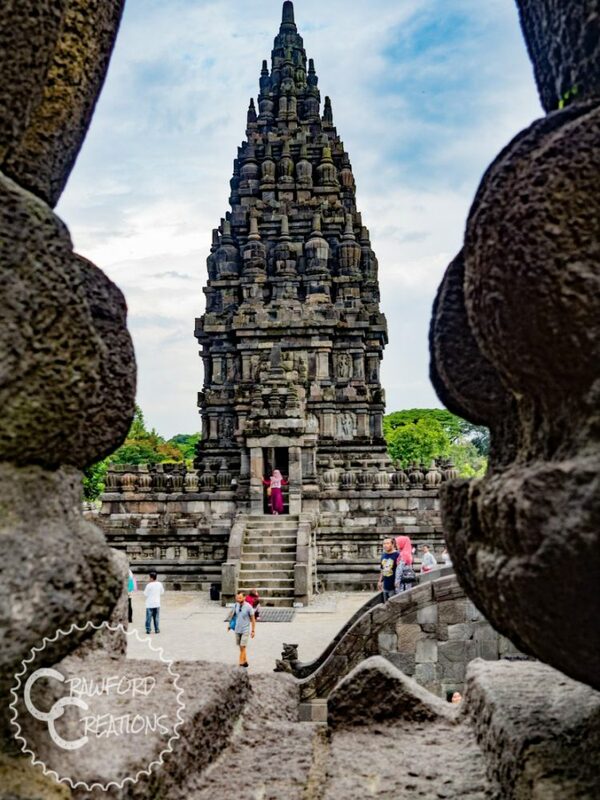 While the ruins of Prambanan were rediscovered in the 19th century, restoration work didn’t begin until 1990 when the Indonesian government officially declared the area an Archaeological Park and spent vast resources reconstructing the ruins to what you see today. The temple has only been reconstructed in its current condition since 2009. 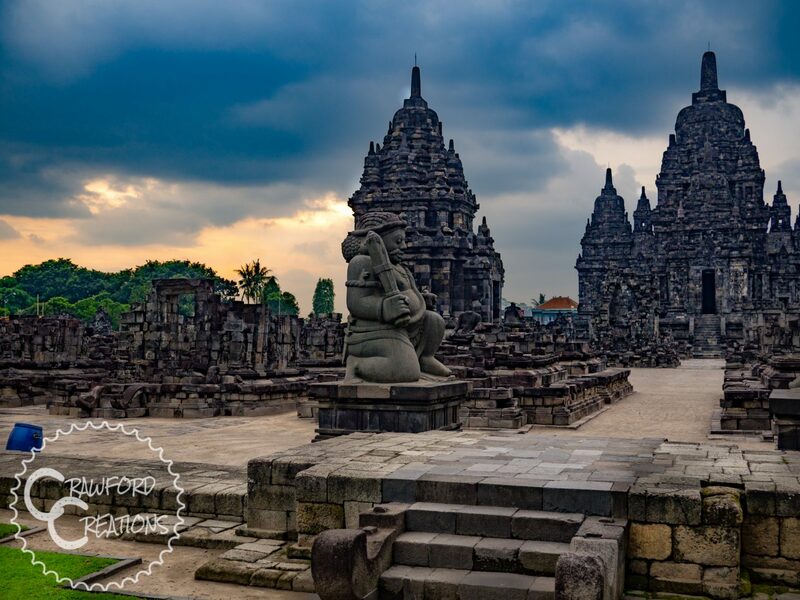 Today, the Prambanan Temple Complex is a UNESCO World Heritage Site and the largest Hindu temple grounds in Indonesia. 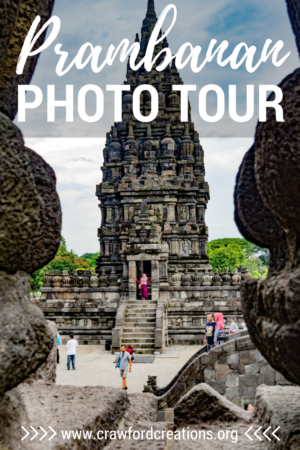 As such it’s one of the main tourist attractions on the island of Java. Come check it out! 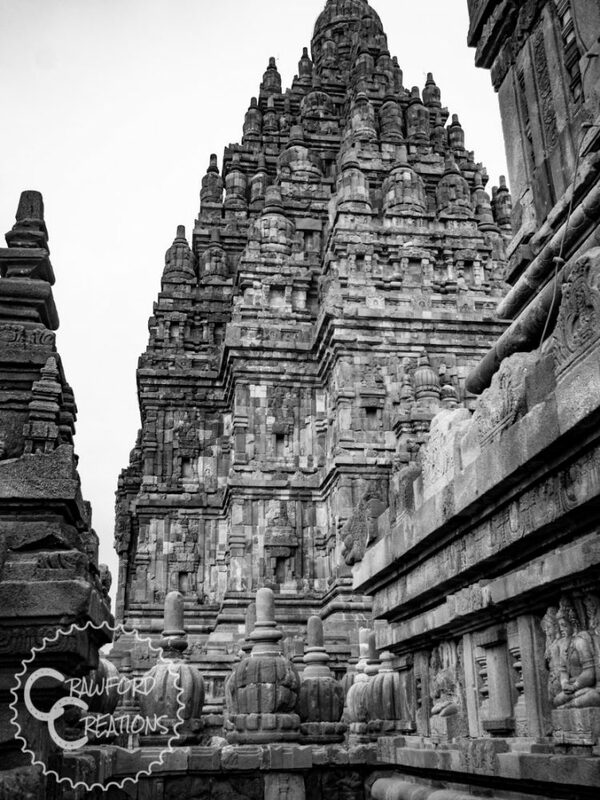 The main Prambanan Temple complex from the outside looking in. 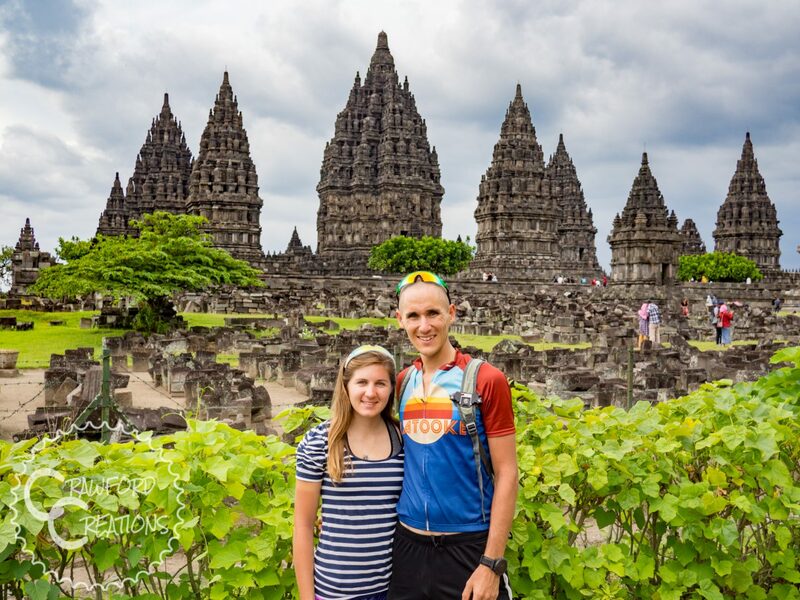 Photo-op on the hedge in front of Prambanan just before we walked in. Taking a moment to change perspectives. These temples are amazing! Walking through the inside of the temples. It’s super dark in there, but there’s also some cool statues, check it out! Love these cubby holes. This one gave us the perfect shot of another temple building through the opening. Looking into the lion’s mouth. Caveat, it might not be a lion, not quite sure what it is actually. The details on these temple buildings are incredible. 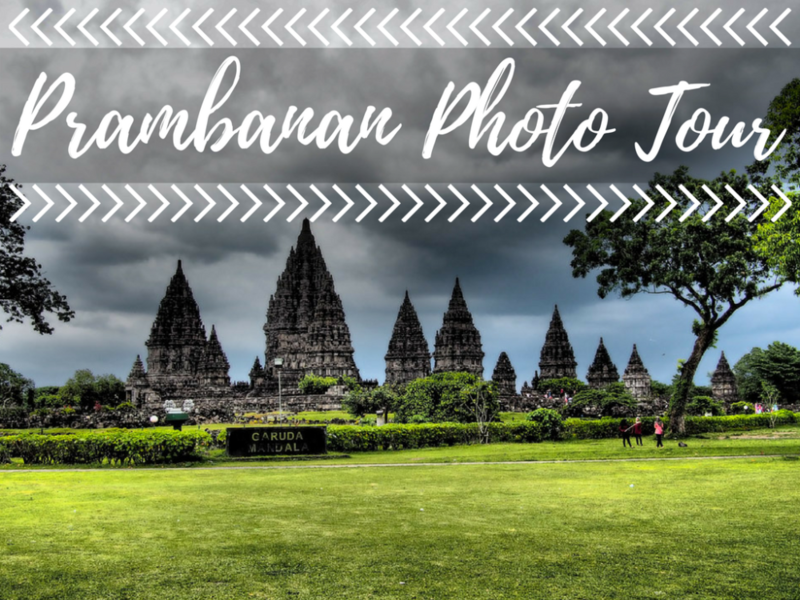 The view from the middle of Prambanan. Tourists everywhere! 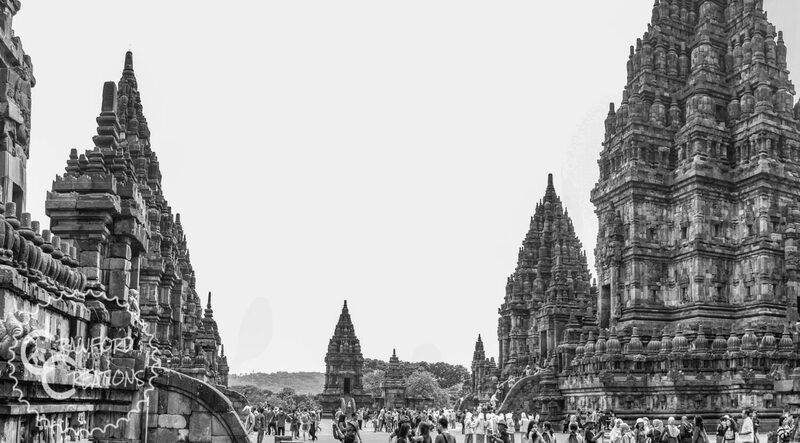 Sewu Temple, located on the far side of the Prambanan Temple Complex. We had the whole place to ourselves for sunset, no tourists! 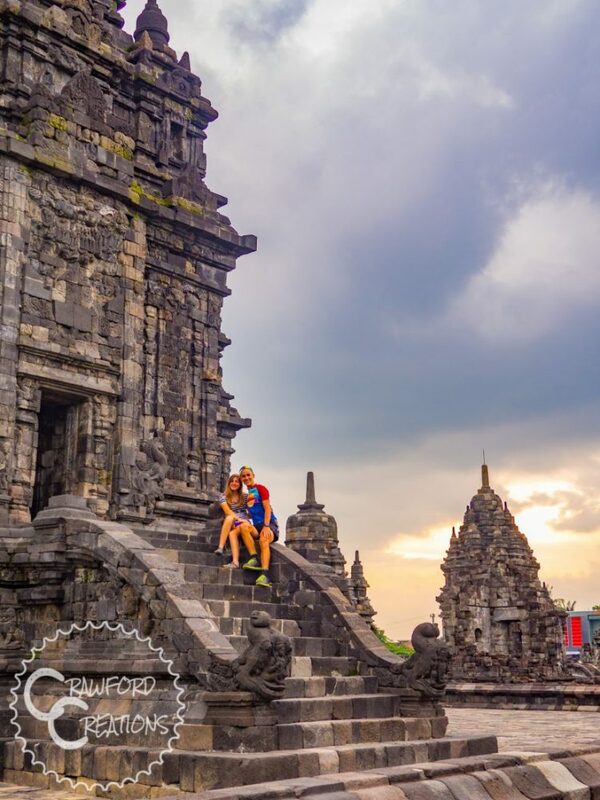 Enjoying the sunset on the steps at the back side of Sewu Temple. The sun tried to give us some color despite the thick mass of storm clouds looming in the sky. Such is life during Indonesia’s rainy season. 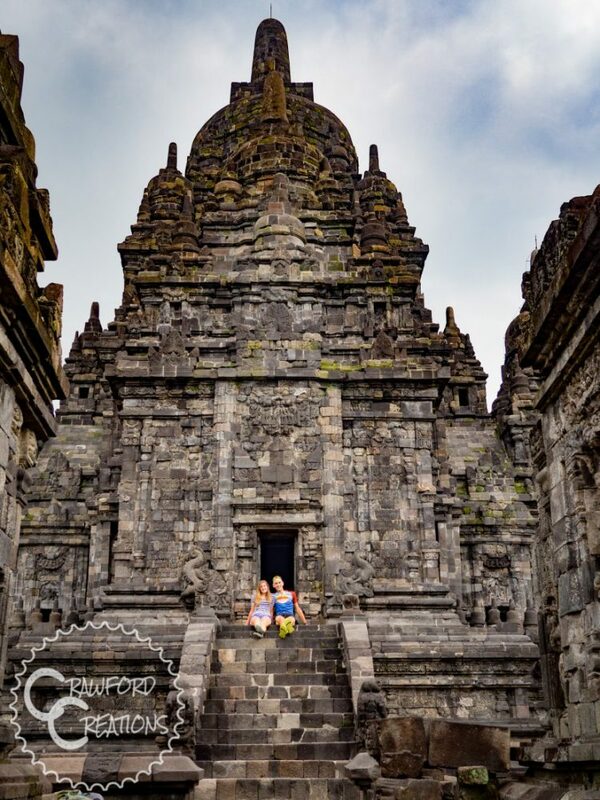 Relaxing on the steps of the Sewu Temple, enjoying the views sans tourists!